I would like to introduce you something cool and different, something fun and strong. 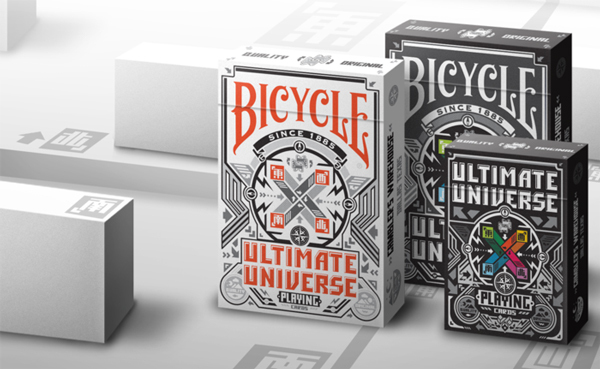 Please have a look at the latest production by Gambler’s Warehouse: the Ultimate Universe decks. 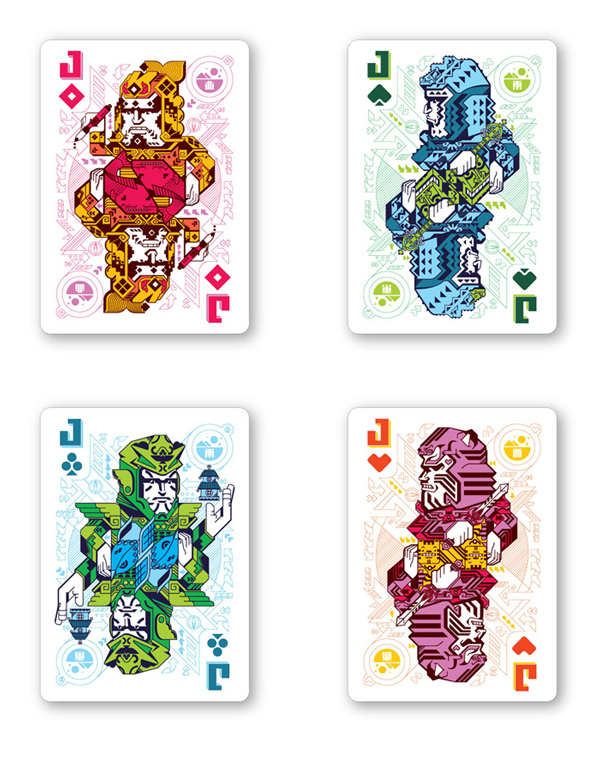 Ultimate Universe is the work of Junichi Tsuneoka, a talented and experienced designer with a very personal style that blends a visual and conceptual fusion of Japanese pop culture and U.S. urban culture. 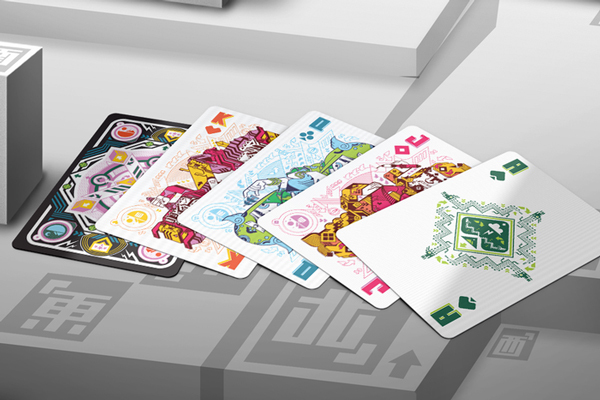 This deck is a conceptual expansion of the four symbols of Oriental mythology, a reinterpretation of something classic and deeply cultural and traditional using pixelated 2D computer graphics with strong color and greyscale patterns which leave no-one indifferent.